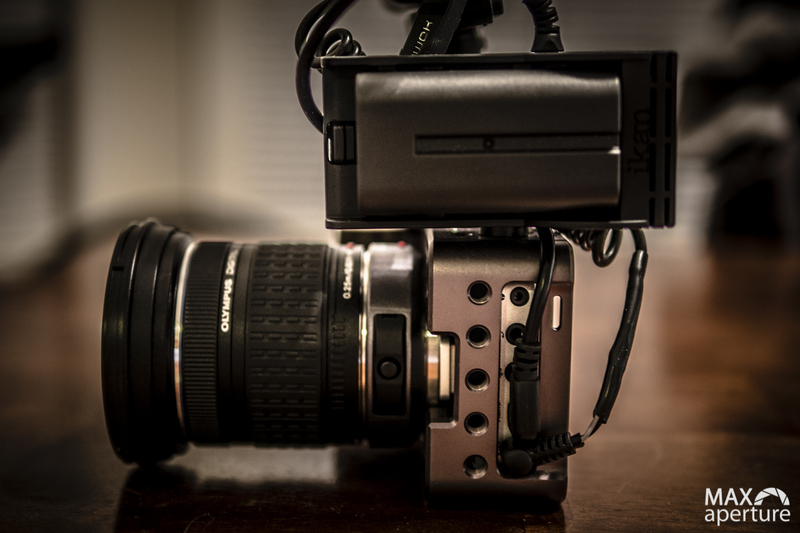 This is a follow up piece to my initial thoughts about working with the BMPCC Here. 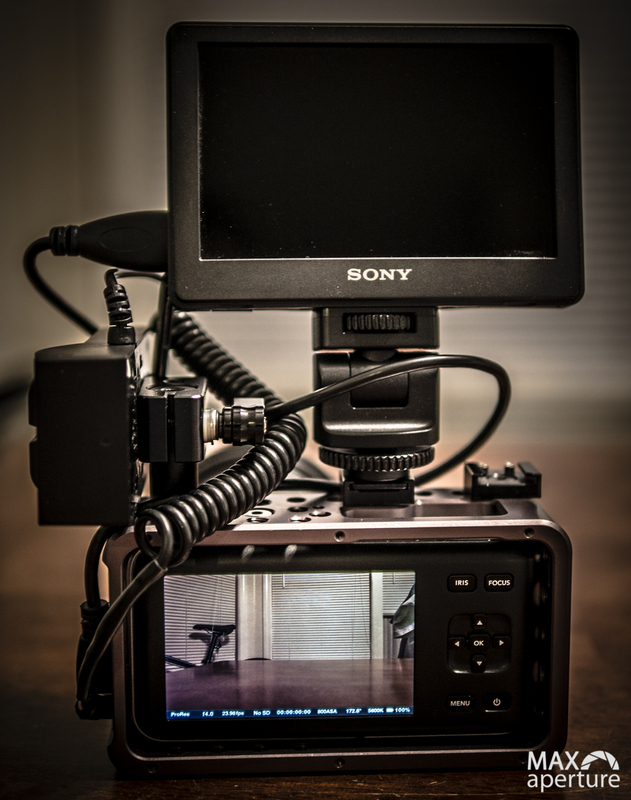 Having now shot test footage and a sanctioned event with this camera, I am confident in saying that this machine is up to the job of producing professional images in a reliable manner. One of my initial concerns was the battery life, and that proved to be valid when using internal 800-1000 mAh batteries. Shooting a 64GB card typically requires between 2 and 3 batteries depending on the amount of time the camera is left idle. That amounts to approximately 45 minutes of footage over 75 to 100 minutes of camera use. Rather than continue the routine of removing the camera from it’s tripod to keep swapping batteries, I decided to rig a lightweight battery solution that could provide a little more muscle and convenience for shooting on the go. After searching eBay and Amazon for odds and ends, I managed to scrape together the parts necessary to build up a removable battery plate for Sony L-series batteries. I already had a 1.5″ high by 15mm diameter aluminum rod to stand up on the cage vertically with a 1/4-20 screw, so I picked up a basic rod clamp with 1/4-20 holes to act as a bracket to affix a battery plate (cost $10). Surprisingly, I found an L-series Ikan battery plate on eBay for significantly less than I was able to find at B&H or Amazon (cost $18). Finally, I purchased a cord with a right angle, correctly-sized power connector to splice in place of the Ikan plate’s factory connector (cost $9). Total project cost: $37. I’ve since tested the 2500 mAh batteries which work great and run at least 3 times longer in between changes. The Ikan plate will support up to 6600 mAh batteries which cost as little as $25 each in the aftermarket. I’ve decided to stick with 2500 mAh batteries for now as they balance nicely on the camera and keep the weight manageable for handheld work. Another initial concern of mine was the durability of the micro HDMI port on the camera. For this reason I decided to buy a cable with an angled connector to eliminate protrusions that could get bumped and result in a broken internal circuit board. For this I again turned to eBay and was pleased to find a cable with left angle connector (routes the cable up toward the top of the camera) for a reasonable $8 shipped. The cable has performed flawlessly and not resulted in any signal drop-outs on the monitor. A final concern was that of IR contaminated footage. 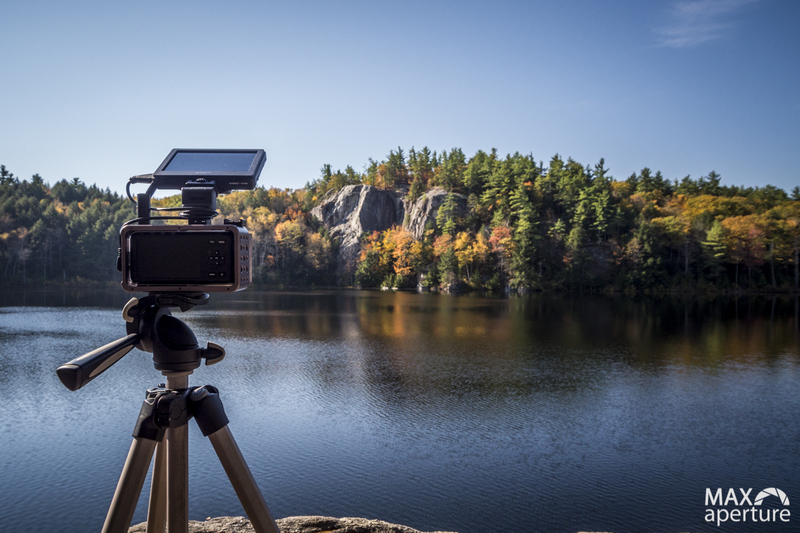 thankfully, to date I have shot not encountered any color cast with basic 3 and 4 stop Tiffen ND filters. Based on reports across the Internet I would not recommend using anything other than IRND filters above 4 stops of ND, it’s taking a chance of a completely wrecked job with footage that cannot be salvaged in post. It’s worth mentioning that I encountered some interesting firmware quirks here and there. The camera has a bug that sometimes results in a sticking aperture with m43 electronic lenses. Cycling the camera’s power and then stopping down or up always seems to resolve the issue. At the 23.98 frame rate the camera’s 180 degree shutter has a serious issue, it simulates closer to a 360 shutter action resulting in heavily blurred footage. The workaround for now (Blackmagic is investigating the issue) is to use 172.8 degree shutter, which is similar to a DSLR 1/50 shutter speed. I hope this issue is resolved soon because the difference between 172.8 and 180 is noticeable to the trained eye and gives a less cinematic look overall. Update: A firmware update has fixed the 180 degree shutter issue, the camera now functions as intended. All things considered, the Pocket Cinema Camera is off and running and I hope to post more experiences as I go out and shoot new projects along the way.